If you’ve ever known a family member, friend, or acquaintance who seemingly transformed their smile overnight from "crooked and average" to "flawless and beautiful," porcelain veneers were probably involved in their cosmetic procedure. What are My Options for Fixing Crooked Teeth? Porcelain veneers are one of the most common ways to transform your smile. If you’re curious about porcelain veneers then please keep reading. We’re going to shed some light on how Dr. Blevins uses CEREC® technology to craft porcelain veneers with minimal prep time, in just one day. Porcelain veneers (often referred to as dental veneers) are comprised of a thin piece of ceramic porcelain that is about the thickness of a contact lens. These thin, yet durable pieces of porcelain are perfectly crafted by Dr. Blevins in our office to match the natural look, shape, and color of your teeth. Our veneers will give you a natural-looking, bright smile! 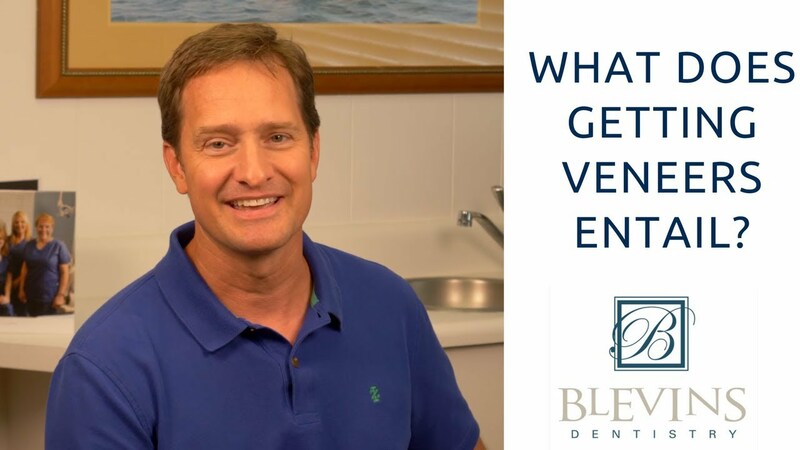 What Does Getting Veneers Entail? The first step toward achieving the smile of your dreams with porcelain veneers is scheduling your cosmetic dentistry consultation with Dr. Blevins. Many people have had porcelain veneers completed by Dr. Blevins in Mullins. On the day of your consultation, you’ll meet with Dr. Blevins to discuss how you want your smile to look. Do you feel your teeth are too big? Too small? Do you want your teeth to be whiter? Are you unsatisfied with the gap in between your front teeth? This are all problems that porcelain veneers from Blevins Dentistry can fix! After you and Dr. Blevins both agree on your goals and expectations, we then use our CEREC® technology, which enables us to craft custom porcelain veneers to your exact specifications. The best part? We can do this in just one day right here in our own office! No outside dental labs needed. It’s important to note that veneers are a non-reversible procedure because we will need to remove some of your tooth enamel before placing the veneers. Typically, patients will get anywhere from 6-10 veneers in order to improve their smile and self-confidence, and get the results they are looking for. If you think porcelain veneers may be an option for you, then we encourage you to contact our Mullins, SC dental office and schedule your cosmetic dentistry consultation today. We look forward to seeing you and transforming your smile into something you can’t wait to show off to others!